At the end of yesterday's post about making printable story cubes I mentioned that I'm hosting a free webinar next week. 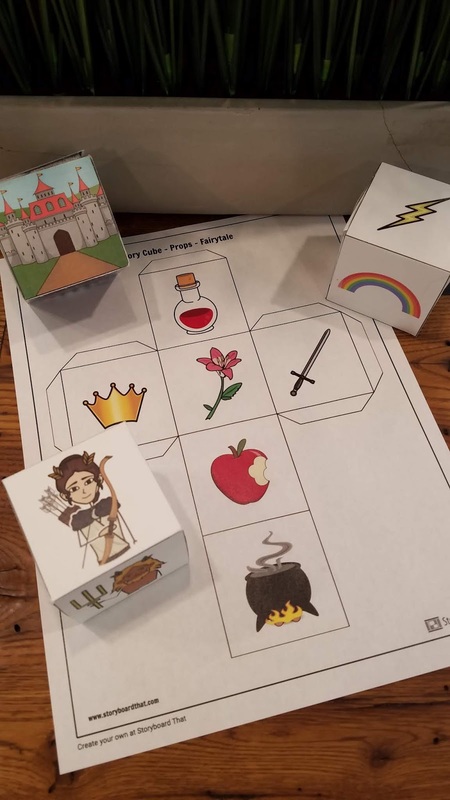 The webinar will go into detail about using the printable story cube and other handout templates that are offered by Storyboard That. Storyboard That is a great tool for those who don't consider themselves to be artistically-inclined because Storyboard That offers more than 40,000 pieces of artwork that you can drag and drop to make great designs. And next Tuesday at 4pm Eastern Time you can learn all about how to make great looking handouts through Storyboard That.